My winter blues so far this year are for reasons most wouldn’t expect. The short days and lack of sun haven’t bothered me and typically don’t. But a North Country December without a single snow storm!?! That’s depressing! 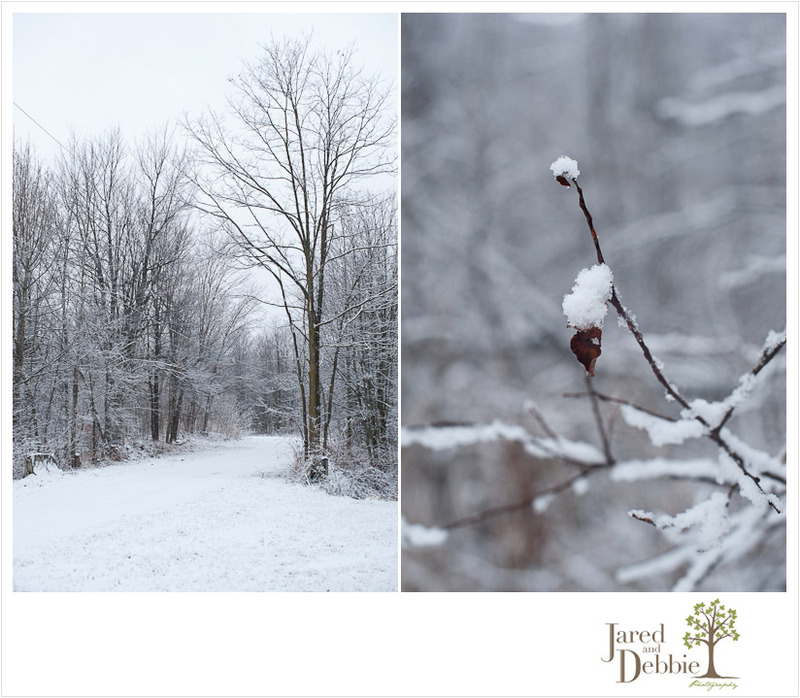 To me, the beauty of our area is in it’s four distinct seasons, with each season giving us something different to be excited about. Fresh grass in the spring, the sun and warmth of summer, changing leaves in the fall and the snowy days of winter. 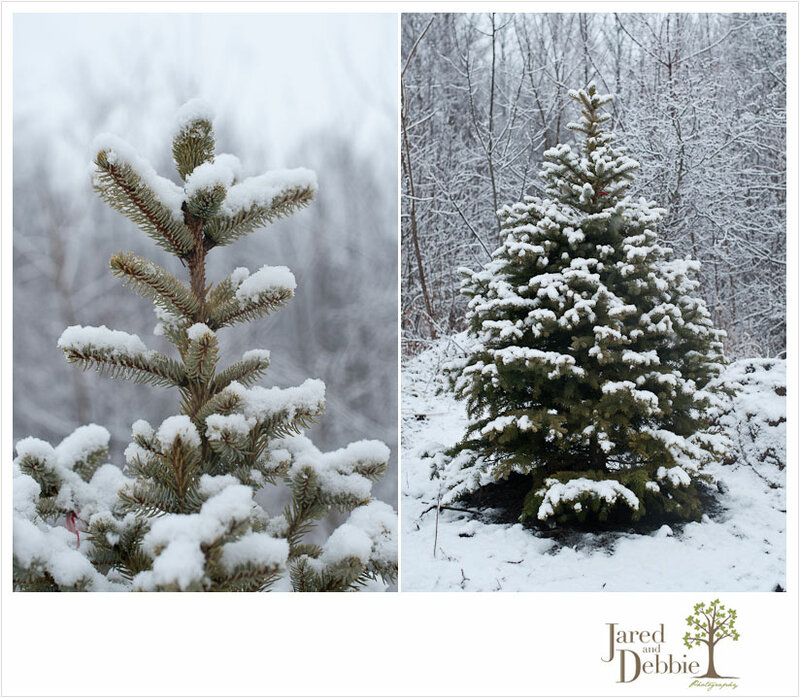 While the bare trees against a blue sky is a gorgeous site, I’d much rather see evergreens frosted with a fresh coat of snow. To make matters worse, I came across some stunning snow sessions in my new found addiction to Pinterest (follow us here). The more I clicked through the snow filled scenes, the more anxious I became for the first nor’easter of the season! But until that happens, I’ll have to reminise over the few snow pictures I captured during a brief snow squall before Christmas . Yes, that’s a pond in the front yard! If the weather would cooperate for an extended period of time, it wouldn’t be so hard to keep this baby ready for skating! Kate Woodward - I’m wishing for a bit of snow too – your Pinterest winter photos are making me long for it! 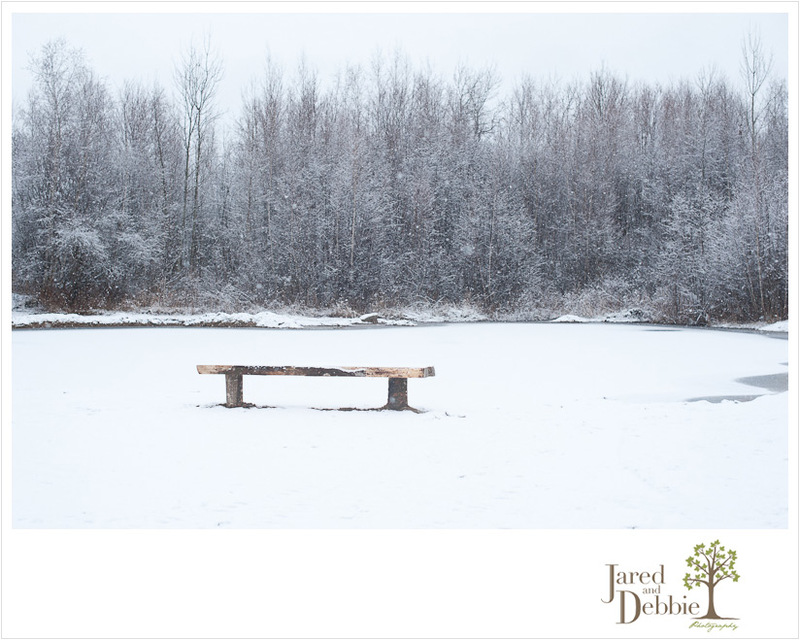 © 2019 Jared and Debbie Photography|ProPhoto Website by NetRivet, Inc.